Mastercraft Starwood is purposing this pair of 27 storey condo towers for centre town. The City of Ottawa has decided to challenge in court an Ontario Municipal Board (OMB) decision to overturn the city’s control of building heights through the Official Plan and local neighbourhood plans. The story started when city planners objected to a proposal by owners of 267 O’Connor St. to build two 27-storey dual condo towers with a bridge connecting them, replacing a six storey medical building. The plan by Mastercraft Starwood “will draw attention to itself not as a striking piece of architecture that might be considered a piece or art, but rather as an anomaly within the central character area,” planner Douglas James wrote in a scathing 2014 review. The city has asserted its Centretown Community Development Plan, approved in 2013, allows for buildings of five to nine storeys in the areas bounded by Elgin and Kent St. to the east and west, and Cooper and Argyle Ave. in the north and south. 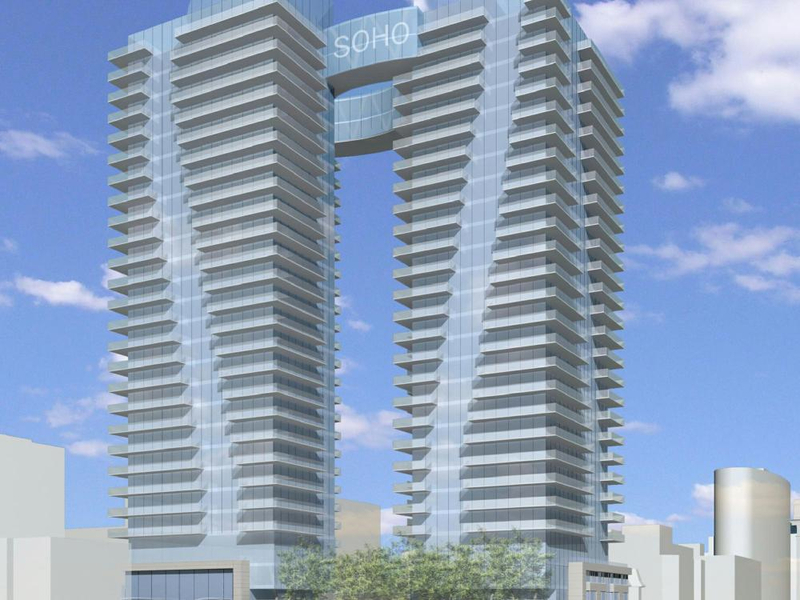 The owners objected, and the OMB agreed, that the city could not use the Official Plan and related Community Development Plans to specify heights. The argument is these should be regulated by zoning bylaws, instead. “Official plans should be flexible documents setting out general policy and are not intended to be prescriptive in their application,” OMB member Richard Makuch wrote in his decision on April 29. Not surprisingly, in deciding to spend money on lawyers and seek leave to appeal the OMB decision to the divisional court, the city disagrees. In a news release, the city said the decision, if left appealed, could create uncertainty about the authority of the Official Plan and local neighbourhood plans. The OMB decision overturns parts of Official Plan Amendment 117 implementing the Centretown Community Design Plan, that “took several years to draft and involved exhaustive public consultation,” the city says. “There’s no point in spending lots of public money and taking up the valuable time of residents and developers in drafting these neighbourhood plans and updating the Official Plan if the plans can’t say where buildings are to be located and how tall they will be,” said Councillor Jan Harder, chair of the city’s planning committee. 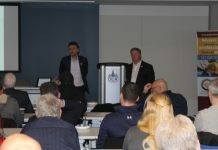 The city says that beginning with the 2012 Planning Summit and continuing through updates to the city’s Official Plan, the goal of city council has been consistently to provide certainty around what kinds of development can be done where, particularly in terms of building heights. “Through a series of approvals and directions, the city has taken the position that residents should know what the future of their neighbourhoods will be and that developers should know what they can build and where, in order to ensure effective business planning. 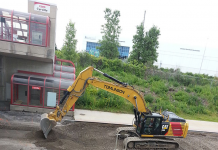 Working with the community and the development industry, this principle of certainty has been diligently worked into the city’s new Official Plan, multiple Community Design Plans and into the zoning by-law,” the city’s news release says. In 2014, Mastercraft Starwood designed the building to conform to the city’s “tall landmark buildings” policy of the Centretown secondary plan. The policy recognizes the importance of eye-catching developments in the core area and allows architects to think outside the box, building up to 27 storeys. While the OMB agreed with some of the city’s contentions in the appeal, it recognized the O’Connor St. site has “great redevelopment potential given its strategic location, large size and frontage on three streets. “Redevelopment of this site could provide the city with an opportunity to help it achieve its desire for additional parks and open space in Centretown,” the OMB ruled. “Re-development of this site should be able to make a significant contribution to improving the central character area and O’Connor St.